For those that want to be a part of one of the biggest parties the world will see on New Years Eve, there is nothing quite like New Years Eve Cruises. And if you prefer the big party atmosphere over small intimate gatherings then large scale ticketed New Years Eve cruises are the way to go. Starship Aqua Sydney is one of the upper class party Pontoons that is set to hold a sensational Sydney New Years Eve cruise. The Pontoon itself has two massive New Years Eve cruise decks. One fully enclosed by 3 meter high glass walls which is fully air conditioned and has a dance floor, PA system and ample entertaining space. The upper deck or roof top deck is an open air deck allowing New Years Eve Cruise guests to be right under the fire works as they light up the Sydney sky line. This is where most people come to have a drink with friends while the party down stairs is keeping everyone entertained on their Sydney New Years Eve Cruise. 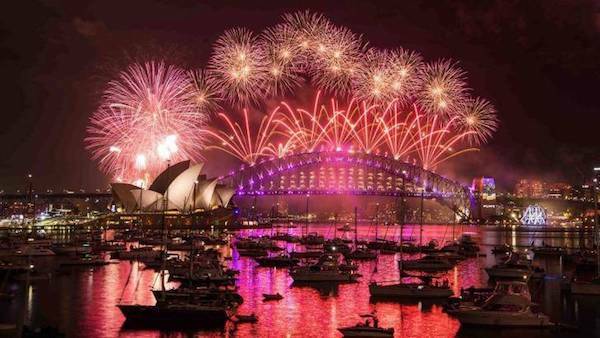 Your Sydney New Years Eve cruise starts at 7:30pm and as soon as you get on board there is food awaiting. Canapes are served as soon as you get on as are the first round of drinks. The food and drinks are first class and they keep flowing all night as you would expect on any Sydney new years Eve cruise as you make the most your the party. A DJ will be playing great music so that you and everyone else are in the mood to party hard. You are guaranteed a prime position to watch the fire works both at 9pm and 12am to see in the new year. 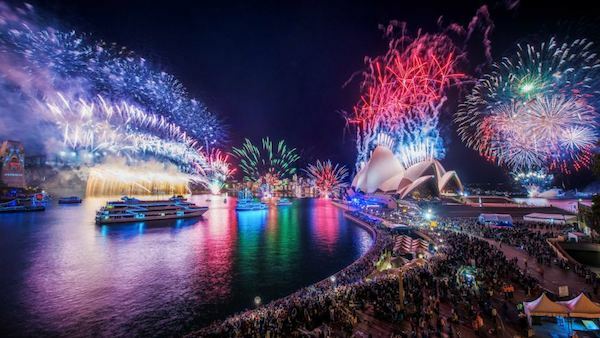 Once the fireworks spectacular is over there is a short period left for you to see out the end of your new years cruise while The Pontoon Sydney makes it's way back to the wharf for a drop off after the main fireworks show. New Years Eve cruises on Starship Aqua Sydney are always amongst the fastest tickets to book out so it advised to get in early. Starship Aqua Sydney is an amazing boat offering an amazing New Years Eve experience. Add New Years Eve cruise tickets to your shopping cart now. Fully inclusive of food, drinks, entertainment, and a party on one of the best luxury function boats in Sydney. Huge rooftop for watching the fireworks.